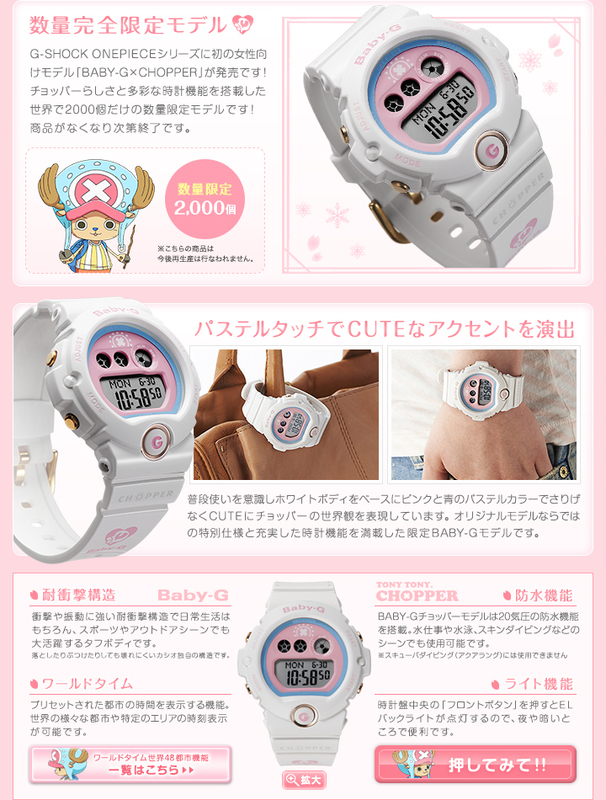 Found on Amazon Japan this rare Baby-G Chopper limited edition. Only 2000 were sold in Japan and you can find them on e-bay for around $180,- or more. This one costs 16,000 yen which is at the present exchange rate similar or sometimes (depending on valuta) then the 13,000 yen price when it was released back in 2014.